Why do I have two knives? It might sound a little redundant, but that is a good thing. A popular saying in survival is “Two is one, one is none.” This is to ensure that if something breaks you have another one to replace it. At the same time, my two knives are good for different things. I keep my Swiss Army knife in my key chain, so I am never without it. Technically, it is a multi-tool, but is also considered a pocket knife. The Swiss Army knife was originally created in Ibach, Switzerland. American soldiers started calling it “Swiss Army knife” after WWII since they had trouble pronouncing its German name, “Offiziersmesser.” I’ve been carrying this one around for about 10 years and it still works just as well as it did when I bought it. My pocket knife is good for small, easy tasks that just needs a little blade. I use it daily, to open mail or packages, cut string or thread etc. But the pocket knife is too small for other tasks, and that is why I also have my Gerber knife. I keep my Gerber knife in my car so I always have it around. When I was just getting started with preparedness, I purchased a much larger knife. It was a great knife but turned out to be too big for my hands and too heavy to work with. Just like my first backpack, I realized I made a mistake with my first choice. I would advise anyone shopping for a new knife to try various brands, see and handle them before making a choice. At first I was not sure I was going to buy this knife. It was popularly advertised, with the Bear Grylls logo so I was immediately skeptical about the hype. But after researching it and talking to other people who owned one, I actually liked the features. It turned out to have everything I need, in the correct size for my hand and grip. This knife has come in handy for every day use. If I had to cut through thick material like a seat belt or heavy rope that would be too touch for the pocket knife, I know the Gerber knife will do the job. I also bring it with me during hiking, camping or backpacking. The knife comes with a whistle as well as a ferro rod. I sharpen both knives regularly to keep them ready for use at all times. Before you start carrying a knife, be aware of the knife laws in your state or locality. See Can You Get Arrested for Carrying a Knife? The Prepared Bloggers are at it again! Everyday carry, or EDC for short, refers to items that are carried on a regular basis to help you deal with the normal everyday needs of modern western society and possible emergency situations. Some of the most common EDC items are knives, flashlights, multitools, wallets, smartphones, notebooks, and pens. Because people are different, the type and quantity of items will vary widely. If you have far to travel for work or have young children, your EDC could be huge! 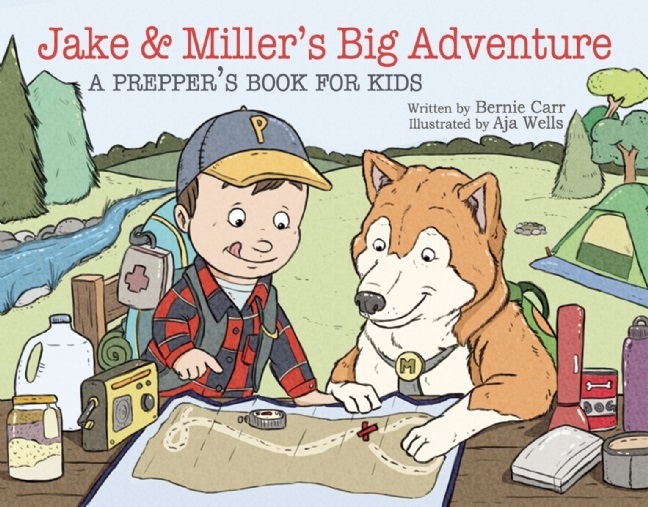 But, even if you’re just setting out for a walk around the neighborhood, taking your essential items with you in a pair of cargo pants with large pockets, may be all you need to be prepared. Follow the links to see what a few of the Prepared Bloggers always carry in their EDC. Would you feel safer with these items close at hand? Shelle at PreparednessMama always carries cash, find out why and how much she recommends. John at 1776 Patriot USA tell us the 5 reasons he thinks his pistol is the essential item to have. LeAnn at Homestead Dreamer won’t be caught without her handy water filter. Justin at Sheep Dog Man has suggestions for the best flashlights to carry every day. Nettie at Preppers Survive has a cool way to carry duct tape that you can duplicate. Erica at Living Life in Rural Iowa knows how important her whistle can be when you want to be safe. Todd at Survival Sherpa always carries 3 essential fire starters wherever he goes. Angela at Food Storage and Survival loves her Mini MultiTool, it’s gotten her out of a few scrapes! only 2?? 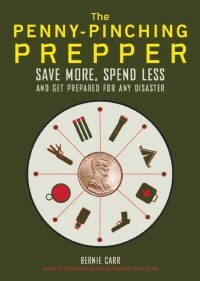 most preppers are avid knife collectors and have a lot more than 2. I keep just the two with at all times, as more would be too unwieldy to carry. Different environments and day to day requirements certainly justify different approaches to EDC for knives. In my case, I carry the 7 tool Swiss Army knife as well as a 4″ Buck Knife folder. Since you have also referenced auxiliary storage locations, such as a vehicle, I will add that I keep two 12″ machetes, a 13″ razor tooth pruning saw, and a bow saw in my vehicle at all times. These additional tools are useful for clearing brush and overhanging limbs. I suppose that’s not a problem for city dwellers. Hi Ben L, That is a great idea, keeping those additional tools that can be used for survival in your vehicle. Reminds me I need one of those saws, thanks for the comment! By way of filling in the blanks, I also keep other blade tools in my vehicle. 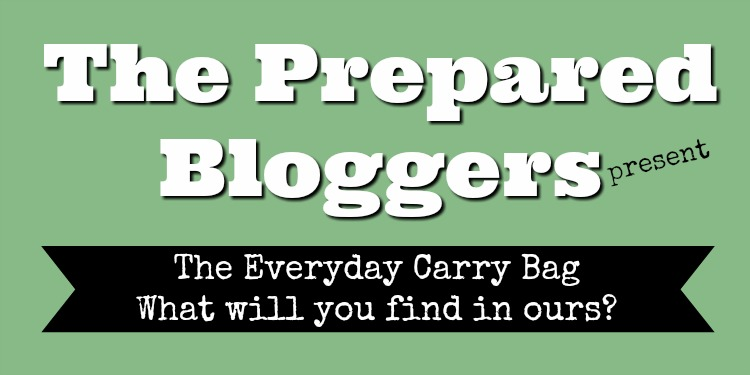 With the exception of the whistle that you referenced in the ‘Prepared Bloggers’ links, all other items are stored in a survival storage tub, along with a two week supply of emergency survival rations. Where I live the whistle is pretty useless, since there are aren’t any people within audible range. Hi Ben, Having a survival storage bin in your car is a great idea. And, you are right, a whistle is useless in areas that people are not around enough to hear you. I read this posting yesterday and thought, I do need to get another knife since I only have a Victorinox Huntsman Lite pocket knife. 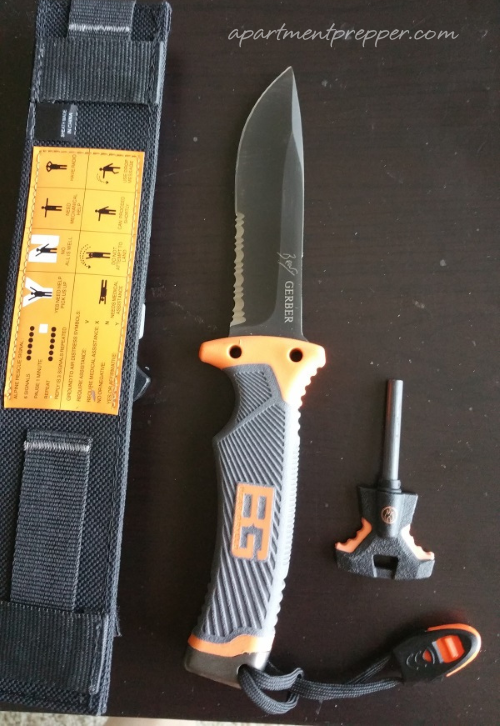 I read two other knife articles this week and entered a knife giveaway (from Backdoor Survival) and yay!, I won! So I will be learning how to use my new knives(Wiebe Specialty Skinning Knives)and will be looking to add to my knife knowledge. Thanks for the post! Hi Deb E, Lucky you-that’s a great knife that you won! I know the new knife knowledge will be a great benefit. I can relate-once you start carrying them you wonder how do did without them before. Thanks for the comment! Hi Steve, You’ve got a great selection there! Thanks for the comment. I’ve always carried more than one edged/bladed tool with me at all times. I’m a mechanic. I change my own flats, even when I don’t want to… For my pocket a small Gerber 425 E-Z-OUT. It has a half-n-half blade & a pocket clip. It’s a great little knife. On my key ring a small all metal box cutter. The plastic ones wear out too fast in my experience. Your mileage may vary. 🙂 I keep an old military surplus canvas tool bag in my vehicle. Among the tools in my tool bag is a long 1/2 inch chistle & a 2 pound short handle sledge hammer. I’ve had lug nuts that were ‘frozen’ with rust or impacted too tight to remove. A chistle & a sledge hammer will do the job when my 3 foot cheater pipe won’t. I also keep a small hatchet, an 18 inch machete, a bow saw, a sharpening stone & a file in my vehicle. My tool kit is very abbreviated for a mechanic, if I can’t make at least a temporary fix for the problem with the tools I carry with me, then it needs to be towed anyway. Since this topic is about edged/bladed tools I won’t elaborate further on the contents of my tool bag. You have some great tools with you JL. I am sure they have come in handy for yourself as well as others you’ve been able to help. Thanks for the comment!